Because there are various factors that affect the rate of alcohol absorption, which directly relates to your blood alcohol content (BAC), your Memphis DUI lawyer will analyze all the facts surrounding your DUI arrest to prepare a solid defense to the charges. When you consume alcoholic beverages, your blood alcohol content (BAC) changes based on the absorption of the alcohol in your body. Several factors affect your system’s rate of alcohol absorption, including speed of ingestion, strength of the particular alcohol you are consuming, and cigarette smoking. The rate of consumption of alcohol has a significant impact on your BAC. Therefore, it is extremely important to closely monitor the amount of alcohol you drink over a given period of time. If you have an excessive amount of alcoholic beverages over a short time period, it may cause the pyloric valve in your stomach to seize and thus delay the absorption of alcohol. On the other hand, if you consume alcohol over an extended period, your liver will have a greater chance to discard the absorbed alcohol in your system, thus resulting in a lower BAC. Social drinking often requires individuals to drink over an extended period of time. However, it is often the case that most individuals, after having a few drinks over a long period of time, quickly drink one or two more alcoholic beverages before leaving. This type of consumption will cause a spike in their BAC and will be grounds for a DUI arrest. The strength of the alcoholic beverage you consume also plays an important role in your BAC. Drinks with high alcohol concentration can cause the pyloric valve to seize, delaying absorption for hours. 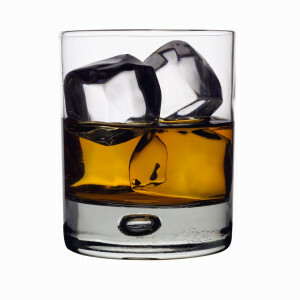 On the other hand, drinks that are low in alcohol content will be absorbed more quickly and result in a much lower BAC. The volume of alcohol consumed at one time will also affect your BAC. While a high dose of alcohol may slow movement of the digestive system and delay emptying of the alcohol from your system, a lower alcohol dose will actually accelerate stomach emptying. Finally, cigarette smoking also has an effect on your BAC. Because smoking slows your bowel motility, it will delay the maximum absorption of the alcohol in your system. For more information about the different variables that affect your BAC and what role they may play in the defense of your DUI charges, you need to contact a Memphis DUI lawyer. To schedule a complimentary consultation with David Willis, please call The Willis Law Firm at (901) DUI-DAVE.